Just in time for Christmas! This beautiful Elmhurst medallion was sculpted by Mogen Kilbourn Rossamando for the Haven. You can see her web site here. We have a few of the medallions finished in a faux bronze by artist Amanda Brock available now. 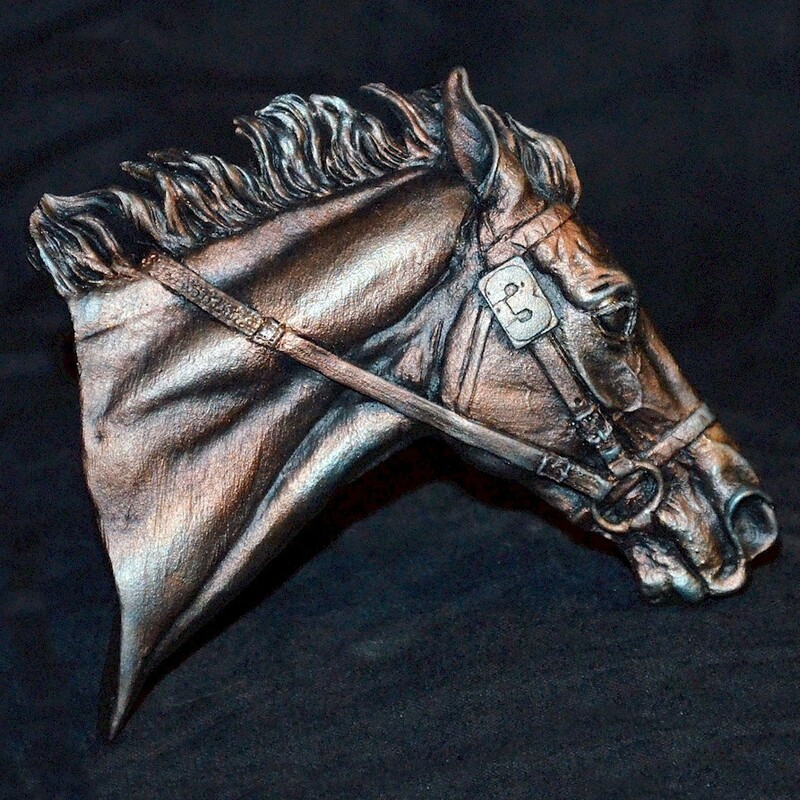 Morgen's sculpt includes the number Elmhurst wore in his 1997 Breeders' Cup Sprint win. Amanda is an amazing artist in both realistic and faux finishes. Check out her web site here.